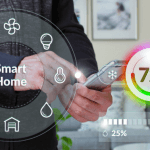 One of the recent trends in technology is the “connected home”. From texting refrigerators to smoke alarms that talk to you, our homes are getting smarter. And with all the advances in technology, your home’s air conditioning system hasn’t been left out. You’ve probably heard about the Nest Thermostat. But that’s not the only technological advance in air conditioning that’s happening. Here are 3 we’ve seen recently. And, as you can see, they aren’t all changes for the better. General Electric (GE) and Quirky have teamed up to create what they are calling Aros. Basically, it’s a smart window air conditioning unit. While we usually recommend central air conditioning systems or mini-split air conditioners for homeowners in Northern California, it’s good to at least see some progress on technology that has remained relatively unchanged for years. It isn’t ugly. Most window air conditioners are–anyone with a window AC can attest to this fact. You can control it from your smartphone. You can turn on your air conditioner or adjust its settings from your phone so you don’t have to get off the couch. It helps you save money and energy. Easy-to-use controls and apps make it easy to see how much you’ve spent cooling your home. It really is smart. When connected to your smartphone, the air conditioner can automatically turn on when you’re nearing home so you walk in to a nice, cool home. Smart thermostats work great with central air conditioners. 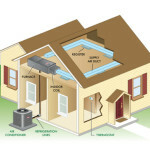 However, mini-split systems or room air conditioners don’t get to use most of the cool features, like Internet connectivity. Tado is trying to change that. 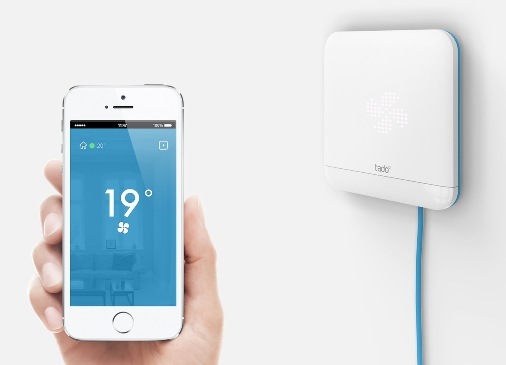 Through their recently launched Kickstarter campaign, Tado is introducing a device that can connect to just about any type of air conditioner with a remote. While the device isn’t in mass production yet, you can pre-order through the kickstarter campaign. Another interesting technology development is Keen Home, which is developing smart air vents. Basically, the vents will automatically close and open based on which rooms you are actually using in your home. While this sounds good in theory, it is bad in practice. Central heating and cooling systems work on balance. Closing vents can unbalance your system and actually make your air conditioner work harder and cost you more money. 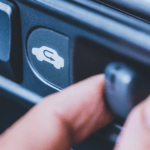 Plus, the restricted airflow could actually cause damage to your system, costing you in repairs or a complete replacement. Our advice: Avoid this product if and when it hits store shelves. See? The technology for cooling your home can be cool, too. Want more information on how some similar technology can be used in your home to make your air conditioner smarter and more efficient? Contact Service Champions online today.